Home BOLLYWOOD Sooraj Pancholi Detached Jiah Khan’s Foetus And Disposed It Off? Sooraj Pancholi Detached Jiah Khan’s Foetus And Disposed It Off? [tps_footer]Bollywood actress Jiah Khan was found dead under mysterious circumstances in her Juhu apartment in the year 2013. After loads of examinations of facts and procedures the case was handed over to the CBI for further investigations. Earlier the case was termed as suicidal, but Jiah Khan’s mother Rabia challenged the decision and appealed for a re investigation. Jiah Khan’s relationship with actor Sooraj Pancholi was soon delved upon and various intrinsic details were dug out. The case took a drastic turn when the police reports did not match with the forensic findings and the flak was identified in the investigation. A fresh charge sheet was filed by the CBI officials for the Jiah Khan case. 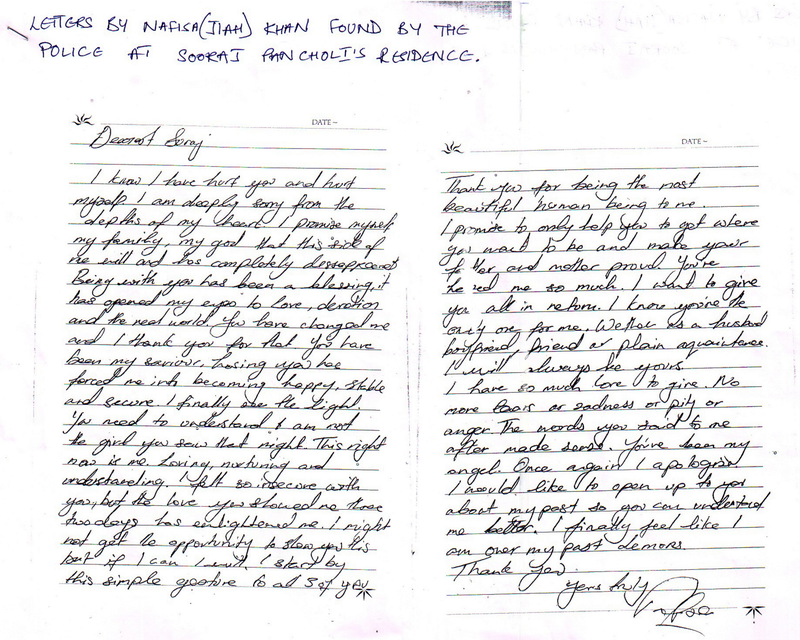 The investigations will now try to answer the question whether Jiah Khan’s death was homicidal or suicidal. The recent development on the case is that the charge sheet has opened up shocking details about Jiah’s pregnancy. 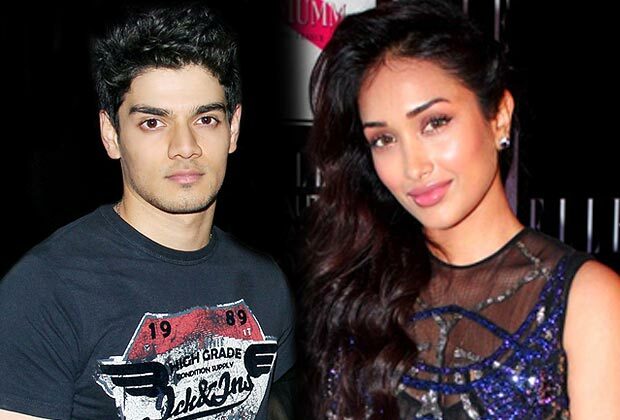 Reports suggest that Sooraj Pancholi who was in a relationship with Jiah Khan assisted Jiah for the abortion. The following incident is assumed to be one of the main causes behind the whole incident. According to the details, Jiah Khan was four weeks pregnant when she informed Sooraj about the same. According to reports based on the charge sheet, Sooraj not only aided Jiah in the abortion, but also was scared of the consequences if the media or the public knew about their relationship. Sooraj Pancholi was prepping up for his debut in the industry. Reports add that Sooraj soon decided to take things in his own hands and rather than going to the hospital, Sooraj disengaged the foetus and disposed it off in the toilet. The foetus was already aborted due to the medication and was further disposed off. The investigation adds that Sooraj had started avoiding Jiah Khan and this resulted into a massive emotional turmoil for the actress. 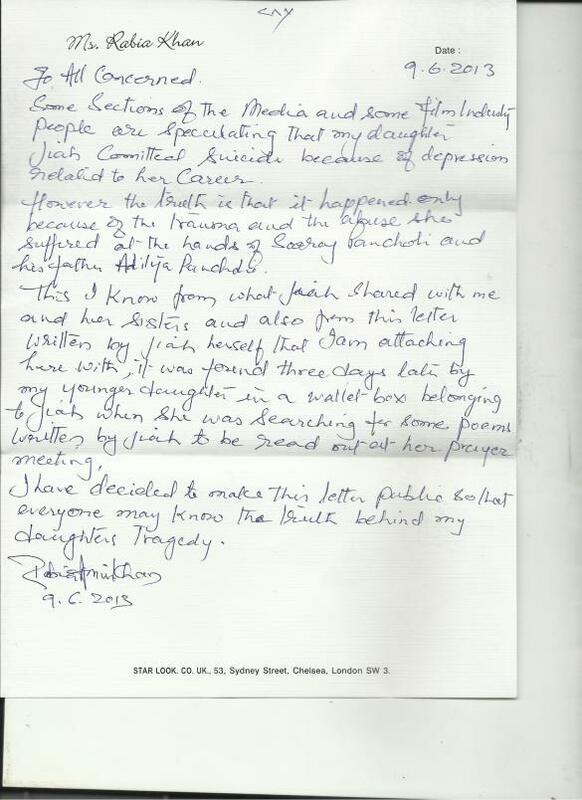 The stated situation according to the charge sheet is the cause as to why Jiah resorted to suicide. With loads of emotional turmoil, Jiah Khan was allegedly into depression and this might have led to the mishap. The details of the abortion and other intrinsic findings will soon be testified. Moreover, the charge sheet also has the details of the statements from Pancholi‘s domestic help and the building watchman etc. Next articleExclusive Bigg Boss 9: SHOCKING! Gizele Thakral Is Out Of The House!